What is a family portrait? Or rather what is a portrait of a family? Portrait in general is a picture of a person, or a sketch or sculpture, but a portrait is so much than that. It is a collaboration between a subject and in this case a photographer. It is about the balance between those two. But first and foremost : how the photographer sees the world, how he or she sees other people. 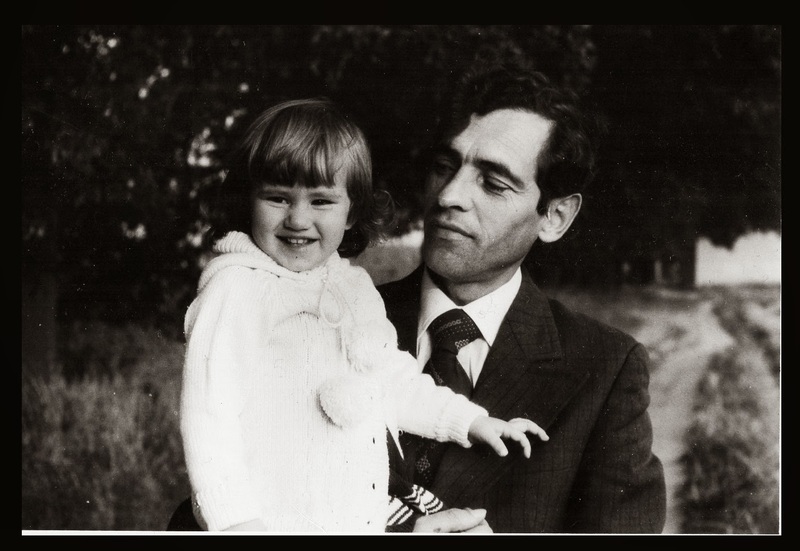 This black and white picture of my father and I is one of my favourites. I remember being a child on a stroll with my father and an uncle of mine, just next to this vast forest. My uncle was an amateur photographer, always carrying his Minolta x300. And this moment just happened. I wasn't ask to pose. And it looks natural. The light was beautiful as it was a sunny day. A little girl and her father.